It is no secret that Hubby and I are gamers. 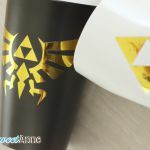 In the past I’ve shared Minecraft creeper marshmallows, Printable Minecraft costumes, Zelda themed swaddle blanket and this awesome Zelda themed ceramic mug. Today though, I’m going even more old school. I’m talking the Nintendo Entertainment System, baby! The console itself was released in my husband’s birth year, and it is something that he grew up with. (My family opted for computers over consoles, even back when DOS was a thing. But that didn’t keep me from playing at my cousins’, friends’ and babysitter’s houses.) 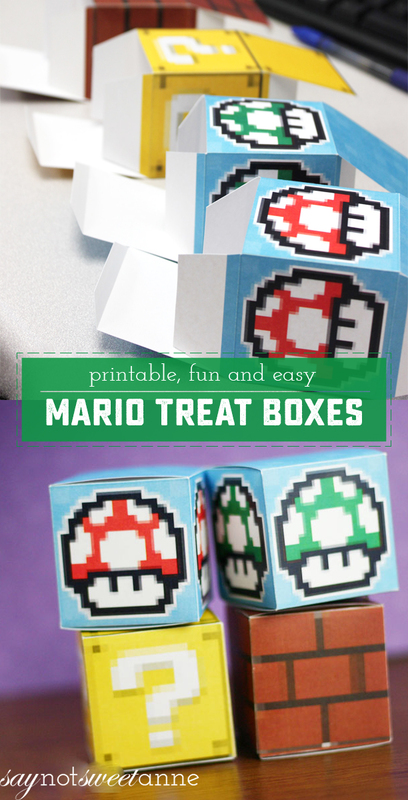 And from that nostalgia comes these Printable Mario treat Boxes! 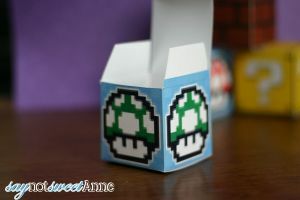 I can’t get over how much I love the look of these little Mario Treat boxes. They are so bright and vibrant, and the 8 bit graphics take me right back to the late 80s and Early 90s era of classic video games. The concept of the boxes is simple, and follows the method you’ve probably seen before in all of my countdown block sets. They come together pretty quickly after a little work with some scissors and tape/glue. I think they’d make great party favors, or even little gift boxes. 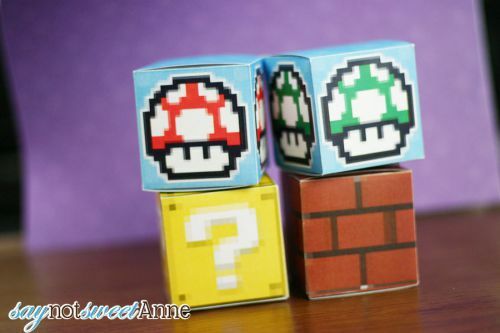 Question Block, Mushroom, Green Mushroom (1up), or Brick PDF. Cut out the shape on the solid lines. 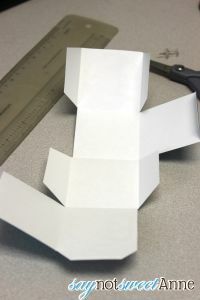 Use a butter knife and a ruler to score the fold lines. Glue or tape opposite sides together, as pictured. 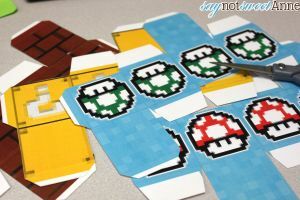 Tuck the bottom flap in and glue or tape. Fill with whatever you want (or nothing at all) and tuck the top flap down. That’s it! Feel free to make as many as you want. 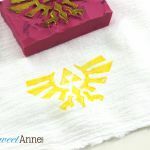 They would be awesome for Father’s Day, Valentine’s Day, or even a themed party favor for a birthday party, shower or wedding! These are awesome and bring back some fun memories. Yoshi is my fave! I wouldn’t call our family gamers but a past time my husband and I share is playing wow and raiding. 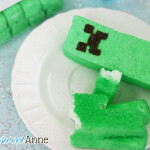 And my son loves minecraft too. These are so cute! pinning. I used to love Yoshi too! Hubby and I played WoW together vanilla through Outlands. We sort of phased out of it after that. 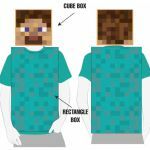 Same with Minecraft, although my little brother just started his own server so we might jump on there! We tend to use group gaming as a way to keep in touch with my younger (15 and 18) siblings. How cute would these boxes be filled with candy on Easter!? 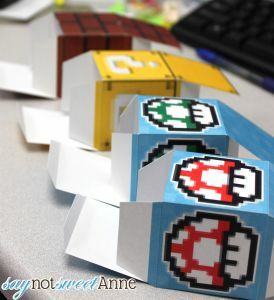 My little Mario lover would adore these. Thanks for sharing.